Dian Walters graduated from St. Nicks Alliance’s Commercial Driver’s License Training Program. 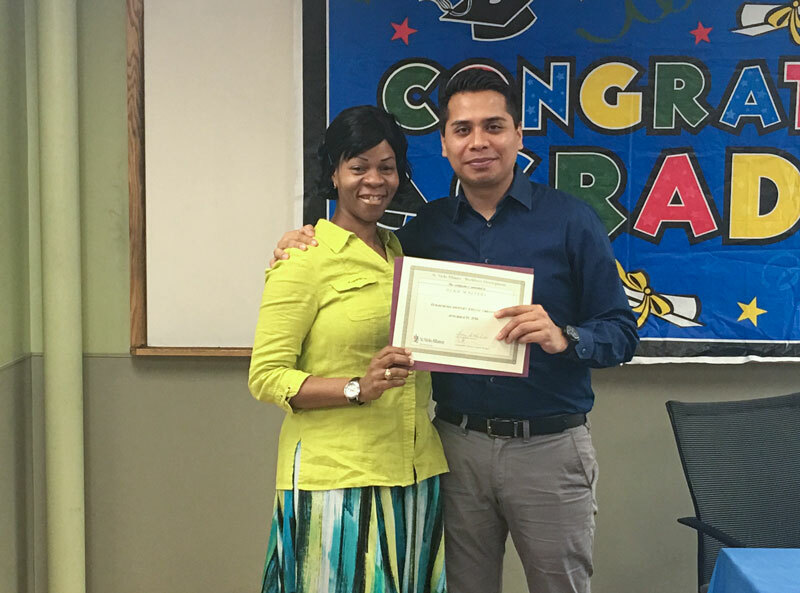 At her graduation, St. Nicks Alliance set up an interview with a school bus company, Y&M Transportation/Jofaz, where she could put her new license to work. Just three days after graduating, she was starting her new job as a school bus driver, with a full-time schedule and a starting wage of $17.50 per hour. At the school bus company, Walters is a member of Teamsters Local 553 and will have the support to upgrade to a CDL Class A license.